If you’ve been arrested for drinking and driving (DUI), contact this Fort Lauderdale DUI Defense Lawyer today. In the State of Florida (as well as all other states), it is illegal to drive while impaired. In fact, more people are arrested for DUI than just about any other crime. Additionally, the penalties for DUI have become quite stiff. This is true for various different reasons. For one, there has been a lot of pressure on the State Legislature in Tallahassee to make DUI penalties harsh. If you’ve been arrested for DUI, there are several things that Mr. Quackenbush can do in your defense. For example, he can examine if your traffic stop was a proper one. Most DUI’s result from either traffic stops of accidents. If your DUI resulted from a traffic stop, then Mr. Quackenbush will analyze whether or not the police had a right to stop you. That is, the police cannot “pull you over” for any reason. In order to do so, they need “probable cause” that a crime was being committed. If the police pulled you over for no reason and this stop led to your DUI arrest, then Mr. Quackenbush may be able to “suppress” the stop and anything that followed (including a “breathalyzer” test performed by you, roadside exercises, etc.). In that case, it may be very difficult for the prosecutor/the State to prove that you committed DUI. So, in this scenario, Mr. Quackenbush will likely argue that the police who pulled you over and arrested you did not have probable cause to believe that a crime was being committed. In your DUI case, Mr. Quackenbush may also argue that, even if the police did have probable cause to pull you over, they didn’t have the right to have you perform a breathalyzer, do roadside exercises, etc. That is, if the police believe you are driving under the influence, they will frequently ask you to perform a breathalyzer test. A breathalyzer is a device that you blow into, and the device gives your “blood alcohol content/concentration.” If your blood alcohol content is over .08, then there will be a presumption in Court that you were driving while impaired (i.e., it will be presumed that you were driving while impaired, unless proven otherwise). This can be disproved in Court (that is, in can be proven that, although you were drinking, you were not impaired), but it is very difficult to do so. It is important to recognize that, in the State of Florida, it is not illegal to drink and drive; it is only illegal to drink and drive while impaired (which can affect your ability to drive). That is, it is not necessarily illegal to drink one beer and drive. It is only illegal to do so if you are impaired. This presents a fine line, and it is something that is frequently argued in court. While the police can ask you to perform a breathalyzer test, they can’t force you to do so. If you refuse to do so, then you can be charged with a misdemeanor and you can lose your driver’s license for one year. If you refuse to do the breathalyzer test, the police may also request that you perform “roadside exercises.” As part of these exercises, the police may perform the horizontal gaze nystagmus test (a test where the police look at your eyes/pupils and watch their movement, which can be affected by drinking alcohol). The police may also ask you to touch your nose while standing on one leg, may ask you to “walk the line,” etc. If you fail these tests, you may be charged with DUI. These roadside exercises are frequently videotaped, and the videotape may later be shown to a jury in court. However, the police must have a “reasonable suspicion” that you have been drinking alcohol and are impaired in order to do either the breathalyzer or the roadside exercises. That is, if it wasn’t reasonable for the police to have thought that you were drinking and impaired, then Mr. Quackenbush may be able to suppress the breathalyzer and roadside exercises, and the Prosecutor/the State won’t be able to use them in Court. It may be very difficult for the Prosecutor/the State to prove their case without these things. In the State of Florida, the police cannot force you to undergo the breathalyzer or roadside exercises. The only exception is in the case that death or serious injury resulted from your accident, it which case the police can order that your blood be drawn involuntarily to test for its blood alcohol level. If a death resulted from your accident, then you may be charged with DUI manslaughter. Penalties for a DUI depend on if you’ve had prior DUI’s and, if so, how many. 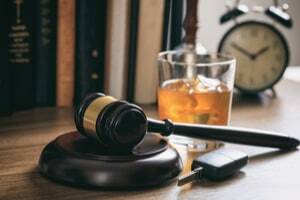 If you haven’t had any prior DUI’s, then the Prosecutor/the State will usually offer you a plea deal referred to as the “First Minimums.” This will typically involve probation and the temporary suspension of your driver’s license. Although your driver’s license may be suspended, your may be able to obtain a “hardship license” to allow you to drive to certain places during your suspension (e.g., to work, etc.). All of this is regulated by the Department of Motor Vehicles (DMV). Your sentence may be higher if there was a child in your vehicle at the time of the DUI or if there were injuries or property damage (i.e., damage to vehicles) caused. Should you be charged with DUI anywhere in Broward County (including Coconut Creek, Cooper City, Coral Springs, Dania Beach, Davie, Deerfield Beach, Hallandale Beach, Hollywood, Lauderdale-by-the-Sea, Lauderdale Lakes, Lauderhill, Lighthouse Point, Margate, Miramar, North Lauderdale, Oakland Park, Parkland, Pembroke Pines, Plantation, Pompano Beach, Southwest Ranches, Sunrise, Tamarac, West Park, Weston and Wilton Manors) – call to talk to Mr. Quackenbush today. He will give you a free, no obligation consultation. Mr. Quackenbush can be reached at 954-448-7288.